In “Older Than Ireland,” centenarians including Bessie Nolan talk about their longer-than-expected lives. “Older Than Ireland” review: Centenarians inspire in documentary that focuses on life’s simple moments. Rating: 3 out of 4 stars. It’s an idea both perfectly simple and simply perfect: Irish documentarian Alex Fagan rounded up 29 centenarians, pointed a camera at each, and asked them about their lives. The result is “Older Than Ireland”: a charming, moving and over-too-soon portrait of a country, and of what it means to have a longer than expected life. But mostly, the film focuses poignantly on the simple acts that make up a life. These century-old subjects, many of them quite agile, bake, shop, ride the bus (or, in one case, drive), tend a fire, putt a golf ball, get their hair done, read the paper, sit with friends and family. Full-time work is a distant memory, though one, a veterinarian, only retired at 98. 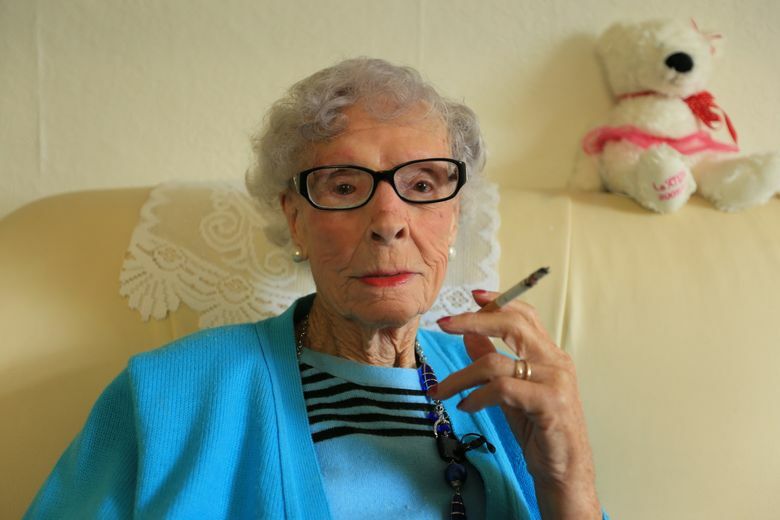 ‘Older Than Ireland,’ a documentary directed by Alex Fagan. 78 minutes. Not rated; suitable for general audiences. Crest Cinema Center.